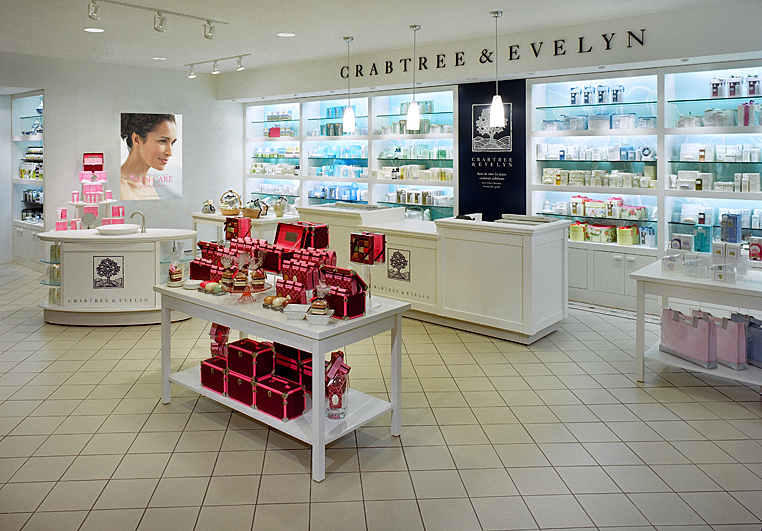 Perfectly situated along a primary traffic corridor in Ogilvy, Montreal’s establishment department store, this shop-within-a-shop prototype for Crabtree & Evelyn represents a redefining moment in the life of the brand. 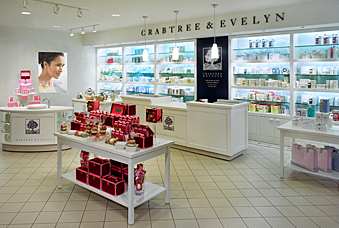 To parallel new packaging and product extensions, the apothecary concept, so identified with the brand and developed years earlier, needed to evolve to be relevant to younger customers. Within the limits of a shop-within-shop situation, including limited ceiling heights and existing flooring, this refreshing, spalike oasis maintains the domestic vernacular of earlier shops but with a modern twist. 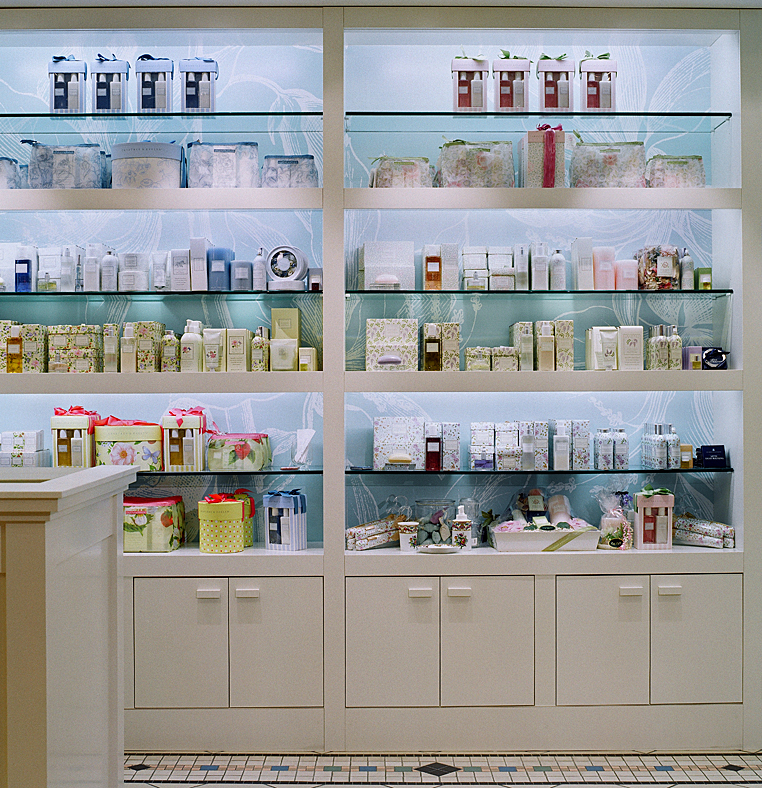 Clean lines and large-scale botanical images rejuvenate the in-store experience, while a moveable sink for interactive product demonstrations, shifts the emphasis to self-consumption rather than simply gift giving.